Measles infection is caused by a single-stranded, negative-strand RNA respiratory virus of the family Paramyxoviridae and genus Morbillivirus. Measles virus is a highly contagious acute febrile disease associated with a characteristic erythematous, maculopapular rash.1 Considered one of the most communicable illnesses, measles is transmitted by airborne droplets or via direct contact with secretions from the nose, mouth, and throat of infected individuals. Measles was a leading global cause of child morbidity and mortality and responsible for more than 2 million deaths annually before the increase in global measles vaccine coverage in the 1980s. Outbreaks can occur in populations where fewer than 10% of people are not immune to the measles virus. Measles was declared eliminated from the Americas in 2016, following the declaration of rubella and congenital rubella syndrome elimination in 2015. During 2017 and 2018, there have been many countries in the Americas Region reporting confirmed cases of measles including Antigua and Barbuda, Brazil, Canada, Guatemala, Mexico, Peru, United States, Venezuela and Argentina.2 Venezuela's ongoing health crisis accounted for the majority of reported cases. In Brazil, there is an ongoing measles outbreak. From January to November 2018, there were 2,801 confirmed measles cases in Brazil. The vast majority of cases were reported in Amazonas (2,357 cases) and Roraima (345 cases) States in northern Brazil.3 Indigenous populations living close to the Venezuelan borders are particularly vulnerable to measles outbreaks. There were 77 confirmed cases among indigenous Yanomami and Ye’kuna communities in Roraima and Amazonas states, according to Pan American Health Organization. The outbreak is linked to genotype D8 importation from Venezuela, which is the same one that circulates in the Venezuela outbreak of measles since 2017. Measles have entered the country with Venezuelan migrants, but it was the low number of vaccinated Brazilians that helped the disease spread. Some isolated cases and related to the importation from Venezuela were identified in the states of São Paulo (3), Rio de Janeiro (19); Rio Grande do Sul (43); Rondônia (2), Pernambuco (4), Pará (23), Federal District (1) and Sergipe (4). 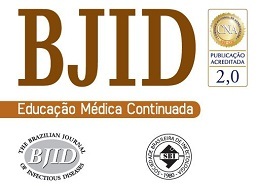 To date, in Brazil, 12 measles deaths have been confirmed, with 6 deaths in the state of Roraima, 6 in Amazonas and two in Pará State.2 Vaccination strategies and other actions are being implemented to control the outbreak by local and federal authorities. According to the Ministry of Health of Brazil, all states with confirmed cases of measles reached the minimum target of 95% of vaccine coverage, with the exception of the Federal District. Immunization has proven to be one of public health's most cost-effective interventions. Measles surveillance and increase global coverage with two doses of measles vaccine through substantial and sustained additional investments in health systems are urgent efforts to achieve the regional elimination goals. Additional evaluation of the cost of two-dose schedules and its serological can provide valuable information for eventual global eradication. Pan American Health Organization. Measles and Rubella Surveillance in the Americas vol. 24, 2018. Brasil, Ministério da Saúde, Portal da Saúde. Brasília, Brazil. Ministério da Saúde atualiza casasos de sarampo (November 07, 2018) Retrieved from ht**tp://portalsaude.saude.gov.br/.